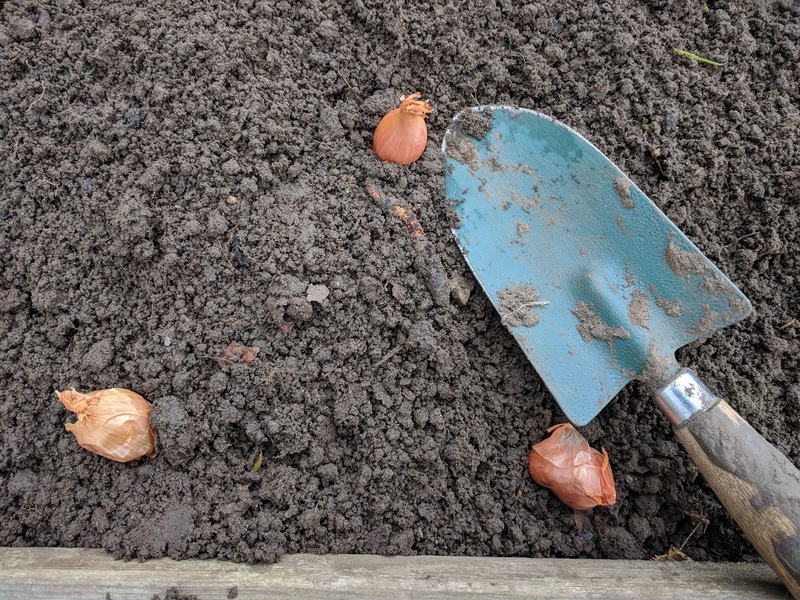 Planting Jermor Shallots is something I did ages ago, back in February, but I’ve only just got around to writing about until now. I planted these way before the Beast from the East and Storm Emma decided to darken our doors. It feels like ages since I’ve grown shallots, but if I had to take a guess I would probably say that I haven’t grown shallots for about 2 years or so. Shallots are a great little ingredient to have at your finger tips in the kitchen. In my experience shallots are sweeter than a red onion but just as robust. I also find them more on the expensive side in the shops and dare I say it, I tend not to buy shallots too often. 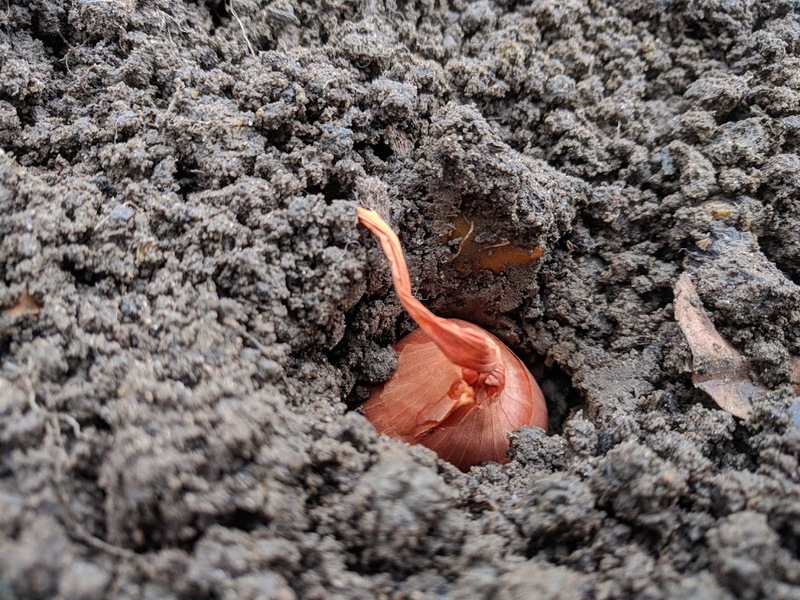 So recently, I managed to get hold of a bag of shallot bulbs and I decided to plant them. Jermor shallots are an autumn variety, which means by rights, these should have been planted before Christmas. However, I’m not sure if I’m the only one, but for the life of me, I couldn’t see any shallots for sale in any of the shops during last years autumn. Only onions and garlic. Jermor shallots are often referred to as the exhibitors favourite – which tells me that they produce a fairly uniform crop. They’re a half long type of shallot which means they’re on the longer side rather than the shorter side. Something I didn’t know – is that the smaller, rounder shallots are known as banana shallots, not sure why yet, but I thought it was quite funny. When planting these shallots I discovered something that is quite obvious when you realise it, but probably not as obvious as it seems. That is, the greatest measure in the garden is the trowel. On average the trowel is around 30cm long from point to point. It’s such a simple observation, but it makes so much sense. 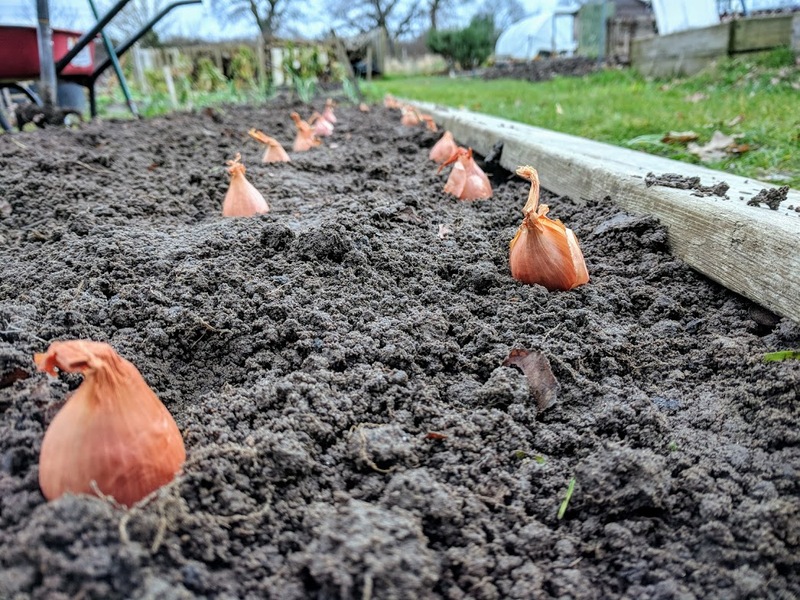 I planted my shallots in a diamond formation, which not only looks quite nice but allows you to get much more into a space. Check out the formation in the pictures! 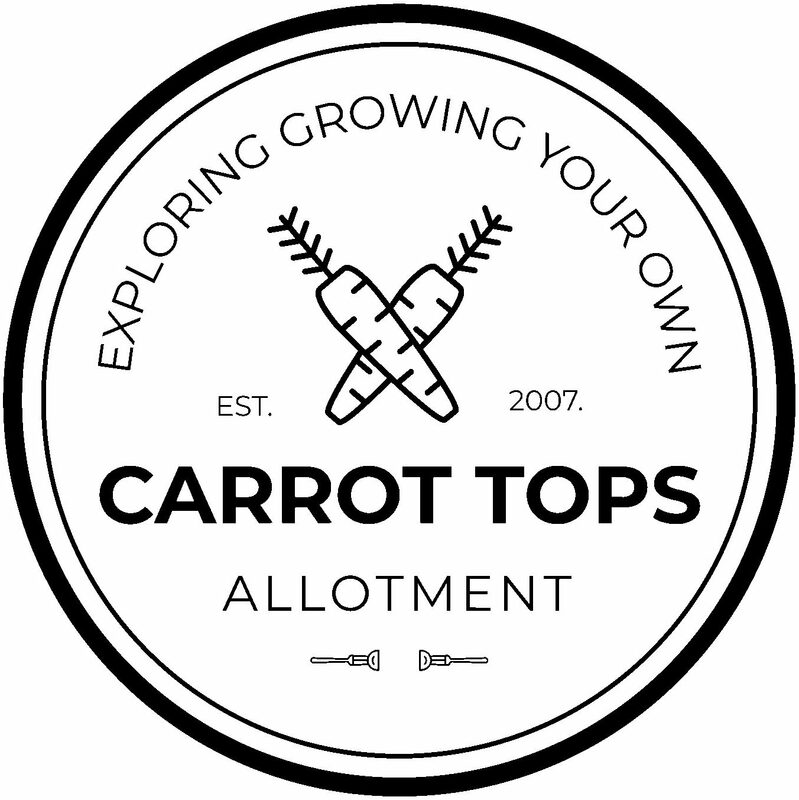 I then planted the shallots deep enough so that only the tops were showing. This can be a real problem as birds can often pick out the bulbs, so I often create an X going from corner to corner to try and deter the birds from landing. Hi Adam will be something I have to have a go at this Autumn. Can I do them in the green house?